I quit smoking cigarettes (cold-turkey) on 15 November 2011. After a habit of 20 a day and two failed attempts, it was third time lucky! I’ve now been smoke free for over eight years. It was back in 2012 that my interest in Lego started. 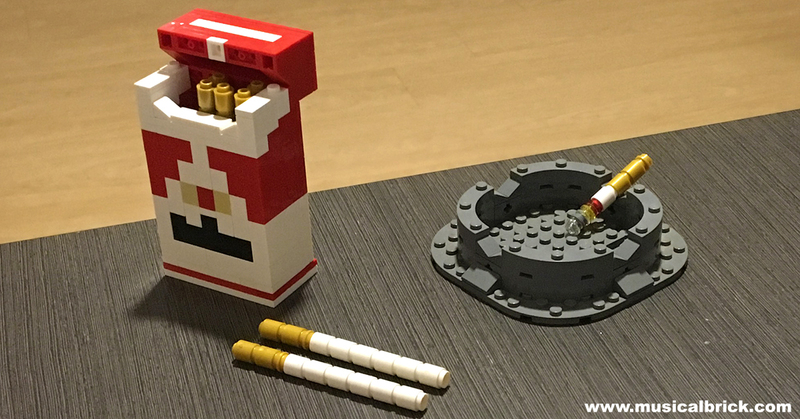 At that time I decided to start a physical record of my achievements by creating a growing Lego cigarette stick. Each Lego stick would represent one year of successfully not smoking. I’m nearly going to have a Lego 10 pack! Research is showing that if you simply eat more fruit and vegetables, you may have an easier time staying tobacco-free for longer. A study published online by University of Buffalo public health researchers, found that those who consumed the most fruit and vegetables were 3 times more likely to abstain from tobacco for at least 30 days than those consuming small amounts of fruit and vegetables. In addition, those consuming more fruit and vegetables smoked less often per day, waited longer before having their first daily cigarette, and scored better on a nicotine-dependent test. Support people who have quit. It’s extremely difficult to kick the habit, but there is light at the end of the tunnel.